Who is E L James, what is the Fifty Shades Of Grey author’s new book about and what is her real name? 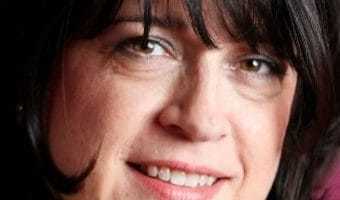 E L JAMES describes herself as a mum-of-two, a former TV executive and wife who “dreamed of writing stories that readers would fall in love with”. But who is the Fifty Shades of Grey author – dubbed an “erotica industry mogul” – whose former hobby has resulted in a multi-million-pound entertainment franchise, and what is her new book about? Who is E L James? E L James is the author of the bestselling Fifty Shades trilogy. Her books were made into films starring Dakota Johnson and Jamie Dornan – with the movies raking in more than a billion dollars at the box office. One of the world’s most famous authors, E L James lives in Ealing, west London, with her husband Niall Leonard, a writer, and their two Westies, according to The New York Times. She told the paper that “writing used to be my hobby”. The NYT points out that, over the past eight years, her so-called hobby has transformed into a huge entertainment franchise. … [Read more...] about Who is E L James, what is the Fifty Shades Of Grey author’s new book about and what is her real name?